For those seeking the highest level of education and training available for hands-on practitioners in the field of psychology, JFK University offers its Doctor of Psychology (PsyD) program. Graduates are optimally prepared to serve their communities in a variety of vital roles including clinician, program administrator, evaluator, consultant, educator, supervisor, assessor, and, perhaps most importantly, critical consumer of psychological research. After taking the Ethnographic Placement Assessment and being assigned to a cross-cultural clinical site, students provide psychological services to underserved and disadvantaged individuals. Apart from gaining state-mandated clinical experience and providing mental-health assistance to real people in need, students are also exposed to the rewards and importance of public-interest work. Our faculty represents a cross-section of some of the brightest minds in clinical psychology today. Many faculty are also active practitioners, keeping them grounded in actual clinical practice and not just theory. With a faculty mentor assigned to every student and an overall student-to-faculty ratio of just 13:1, our professors take a personalized approach to each student’s development. 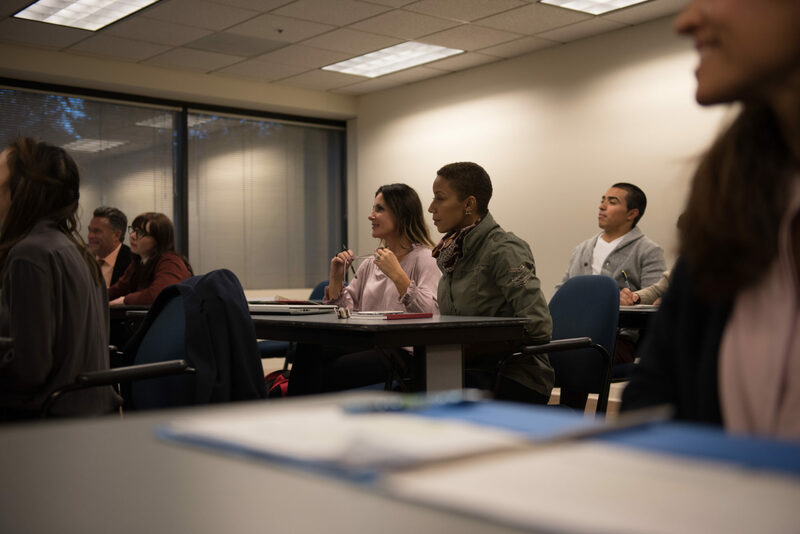 Rather than subscribe to a single theoretical approach or school of thought, the JFK University Doctor of Psychology program exposes students to a broad range of theories and applications. Exploring various methodologies encourages students to think critically about their pros and cons, ultimately incorporating the best aspects of each into their own individualized clinical “tool kits”. For years, individuals credentialed only in sport psychology have been unable to incorporate clinical psychology into their practice. Now, however, thanks to a unique interdepartmental partnership, students can “link” an MA in Sport Psych with their PsyD, enabling them to become one of the few professionals credentialed to engage in the burgeoning new field of clinical sport psychology. The PsyD Program is accredited by the American Psychological Association (APA), which requires that we provide the student outcome data available via the links on this page. We hope this information will help you to make an informed decision regarding your graduate study. The Comprehensive Written Examination and the Clinical Proficiency Examination must be passed. Fifty (50) hours of personal psychotherapy must be completed. All training logs and supervisors’ evaluations must be submitted to the Training Office. The dissertation must be successfully defended. After admission to the PsyD program, all academic requirements must be completed in residence, except for where transfer credit units have been awarded. A full-time load of 36 units must be carried for a minimum of one year, preferably in year one. A minimum grade of B- is required in each course applied to meeting degree requirements. An overall grade-point average of 3.0 must be achieved in all work for the PsyD program. Candidates for doctoral degrees are required to file a Petition for Degree and pay the required fee by February 15 of the year prior to the beginning internship. All program requirements must be completed within eight calendar years of matriculation. Electives: 18 units minimum: May be taken anytime after Spring Quarter of Year 1. Students explore the foundations of group therapy and engage in group process over the course of three quarters. They reflect upon the group dynamics of their ethnographic placement, their own collective experience within the IPS and the range of perspectives encountered in the assigned academic reading. They also explore the meanings of cultural differences in a group context. In the Fall quarter, students explore the foundations of group therapy with particular emphasis on the beginning stages of group development. Students also participate in group process with a selfreflective focus on the multicultural course content. In the Winter quarter, students explore the foundations of group therapy with particular emphasis on the working stages of group development. Students also participate in group process with particular emphasis on self-reflection as well as multicultural and group dynamics related to power, privilege, and oppression. In the Spring quarter, students explore the foundations of group therapy with particular emphasis on termination, and the closing stages of group development. Students also participate in group process with particular emphasis on self-reflection, as well as clinical considerations of multicultural and group dynamics related to power, privilege, and oppression. Co-requisites: PSD 7035, PSD 7047. In this part of the IPS curriculum students examine and critically consider contemporary and empirical literature in multicultural psychology. Students explore the effects of power, privilege, and oppression on psychological functioning. Students are encouraged to develop self-awareness and a heightened sensitivity to their own values, cultural assumptions, beliefs, and biases to understand how these serve as both resources and barriers to the effective delivery of mental health services to diverse populations. In the Fall quarter, students examine and critically consider foundational and current literature in multicultural psychology, particularly as it relates to immigration, social class, race, privilege, and oppression. In the Winter quarter, students will examine and critically consider foundational and current literature in multicultural psychology, particularly as it relates to sexual orientation and gender. In the Spring quarter, students will examine and critically consider foundational and current literature in multicultural psychology, particularly as it relates to disability, ageism and social justice. Corequisites: PSD 7035, PSD 7046. This course is the first of a two course sequence. It is designed to teach students fundamental clinical interviewing skills. Students will learn the basic attending skills required to establish and maintain a therapeutic relationship, including empathy, listening, reflecting, focusing and formulating questions. Students will also practice skills related to informed consent, confidentiality, and cultural sensitivity. The importance of taking into consideration contextual variables such as culture and ethnicity, language, socioeconomic status, migration, political conditions during the interview process is emphasized. This is the first of a two course sequence. It examines the way in which individual psychopathology is classified, described, diagnosed, and assessed. The Diagnostic and Statistical Manual of Mental Disorders, 4th edition (text revision) (DSM-IV-TR) of the American Psychiatric Association is utilized as a core organizing text for the purposes of diagnostic classification. Other readings inform students about current research findings on the diagnosis and treatment of mental disorders. Students are expected to become familiar with the structure, content, and clinical use of the DSM-IV and learn to apply formal diagnostic classification to specific case examples. This course emphasizes the process and problems of individual assessment (including the use of outcome measures in psychotherapy) and diagnosis that arise within the practice of clinical psychology. Students are also introduced to the historical, political, and contextual issues regarding the diagnosis and categorization of human experience. This course is the second in a two course sequence. It builds upon the foundational clinical interviewing skills acquired in PSD 7007. Students will utilize these skills in establishing and maintaining a therapeutic relationship. Students will acquire additional skills such as confrontation and summarizing. In addition, specific situations such as suicide assessment, interviewing couples and younger clients will be addressed. The course will also explore clinical skills such as case formulation and report writing, peer supervision, the mental status examination, assessment of the client’s presenting problems, issues with difficult clients, and making appropriate referrals. Prerequisite: PSD 7007. This is the second of a two course sequence. It continues to examine the way in which individual psychopathology is classified, diagnosed, and assessed. The Diagnostic and Statistical Manual of Mental Disorders, 4th edition (text revision) (DSM-IV-TR) of the American Psychiatric Association is utilized as a core organizing text for the purposes of diagnostic classification. This course completes its review of the acute psychiatric disorders and then focuses on personality disorders. Students learn to apply formal diagnostic classification to specific case examples as well as the fundamentals of treatment planning and the use of DSM-IV-TR’s Outline for College of Psychology 136 College of Psychology John F. Kennedy University Multicultural Formulation as a process for providing contextual information in psychodiagnosis. Prerequisite: PSD 7015. This course focuses upon the legal and ethical issues related to the practice of psychology. Students explore issues which include, but are not limited to, licensing, scope of practice, competence, informed consent, client welfare, confidentiality (and its exceptions), and professional conduct. Also covered are issues related to the treatment of minors, couples, groups, and the use of technology in clinical psychology, as well as issues related to working with individuals with cultural, contextual, and individual differences from those of the provider. In addition, students will be introduced to methods of critically evaluating their professional behavior. The course emphasizes contemporary professional ethics and statutory, regulatory, and decisional laws that delineate the profession’s scope of practice and role of the psychologist. This course reviews drive theory and ego psychology, object-relations theory, self-psychology, and intersubjective approaches to therapy. The paradigm shift in psychoanalytic thought from a drive theory to a relational theory model and the implications of this shift for clinical practice are examined. A critical review of psychodynamic theory and practice from a cultural perspective is included. This course is designed to provide first-year students with an overview of psychometric principles and introduce them to the various types of psychological assessment tools such as cognitive and intellectual testing and measurement of personality. The course covers the foundations of psychological assessment, tools used in psychological measurement (e.g., test construction) essential characteristics of psychological measurement (e.g., reliability and validity), and the application of measurement ( e.g., tests of intelligence, personality assessment). This course is a prerequisite for the Assessment Series courses (PSD 7115, 7116, and 7117). This course is the first of a three course sequence. This course presents an overview of psychometrics and quantitative research design and methodology. In addition, the course covers ethics in research, issues of cultural diversity relevant to the process of research, and an introduction to data analysis using SPSS. The focus of the course is on acquisition of skills that permit students to critically evaluate published professional literature. This course introduces the basic tenets of CBT and the various forms of this perspective. Discussions of the philosophy of CBT and the structure of a CBT case conceptualization set the stage for more detailed work with the kinds of disorders for which CBT has demonstrated effectiveness. The interventions and evaluation procedures commonly used by CBT practitioners are demonstrated and discussed with regard to their applicability to various forms of psychological, emotional, or social problems. Consideration of the applications and limitations of CBT to diverse populations are woven into the fabric of each discussion. This course is taught over three quarters, in conjunction with PSD 7146 and PSD 7147. The second-year practicum is a clinical placement where students apply the knowledge and skills they have acquired in the first year. PSD 7135 gives students credit for their practicum work. In class, students do weekly practicum check-ins and formal case presentations of clients. Theoretical conceptualizations are emphasized. Prerequisites: PSD 7008, PSD 7016, PSD 7035, PSD 7141. Co-requisites: PSD 7146, PSD 7147. This course is taught over three quarters, in conjunction with PSD 7135 and PSD 7146. This course examines the ways diverse cultural perspectives are experienced within the clinical interchanges of psychotherapy. In addition, there will be a focus on clinical treatment interventions with specific populations and exploration of their relative effectiveness and the impacts on both therapist and client. Evidence-supported treatment approaches with specific populations are highlighted in this course. Prerequisites: PSD 7008, PSD 7016, PSD 7035, PSD 7141. Co-requisites: PSD 7135, PSD 7146. This is the first of a three course sequence. This course is designed to provide the student with a broad understanding of the intellectual/ cognitive assessment of adults, adolescents, and children. Teaching will include administration, scoring, and interpretation of some of the widely used cognitive, achievement, and neuropsychological screening measures: the Weschler Adult Intelligence Scale-IV (WAIS-IV), the Weschler Intelligence Scale for Children-IV (WISC-V), the Wide Range Achievement Test 4 (WRAT 4), and the Bender II. Students will also learn about alternative cognitive measures including the Test of Nonverbal Intelligence 3 (TONI 3) and the Peabody Picture Vocabulary Test-IV (PPVT-IV) . Students will also be taught how to conduct a thorough mental status exam with clients. The historical, cultural, linguistic, and socio-economic contexts of assessment and evaluation will be emphasized. A weekly lab is also required. Prerequisites: PSD 7008, PSD 7016, PSD 7114. This is the second course in a three course sequence. It is designed to provide students with knowledge of inferential statistics through two-way ANOVA and post hoc analysis with an introduction to selected multivariate techniques. Emphasis is placed on conceptual understanding and appropriate use of statistics including knowledge of assumptions and limitations of specific techniques. Critical review of published empirical literature and critique of culturally appropriate analysis and interpretation is an integral part of the course. Students are introduced to the dissertation process and are guided to begin formulating a dissertation research question. Prerequisite: PSD 7151. This is the second of a three course sequence. It is designed to provide the student with a focused understanding of the Minnesota Multiphasic Inventory-2 (MMPI-2), the Millon clinical Multiaxial Inventory-III (MCMI-III), and their adolescent counterparts. .Students will learn about the psychometric properties of the measures as well as learn to administer, score, and interpret them. Other personality measures such as the Personality Assessment Inventory (PAI) and the Beck Depression Inventory will be introduced. Additionally, the field of therapeutic assessment will be discussed. Students will continue to enhance their skills in report writing, integrating evaluative data while incorporating historical and socio-cultural contextual information, and providing feedback and clinically useful recommendations. A weekly lab is also required. Prerequisite: PSD 7115. This is the third course in a three course sequence. It introduces students to specific qualitative methodologies in detail: phenomenology, grounded theory, and qualitative content analysis. Additional forms of qualitative research are also introduced, including consensual qualitative research, qualitative meta-analysis, and case-study designs. The philosophical and methodological issues which underlie qualitative research will be discussed. The course includes lecture, discussion, and practice assignments covering interviewing and qualitative data analysis. Prerequisite: PSD 7250. This is the third of a three course sequence. It is designed to provide the student with knowledge and experience in the area of projective personality assessment. Students will learn to administer, code, score, and interpret the Rorschach using the Rorschach Performance Assessment System. Students will also learn to utilize other projective assessment techniques and the Rotter Incomplete Sentences Blank. Current research in the field of projective assessment will be presented. Multicultural considerations will be integrated throughout the course, and the historical and sociocultural contexts of evaluation will be discussed. Students will continue to enhance their skills in report writing, integrating evaluative data, providing feedback and clinically useful recommendations. Emphasis will be placed on the integration of cognitive, personality, and projective assessment findings within the context of history, mental status, behavioral observations, SES and culture. A weekly lab is also required. Prerequisite: PSD 7116. This is the first of a three course sequence designed to assist and supervise students in developing their dissertation proposals. Students will create a prospectus for their proposed studies, begin the process of recruiting a dissertation committee, as well as outline and begin drafting a Review of the Literature relevant to their proposed research. Prerequisite: PSD 7251. This course focuses on the identification, assessment, and treatment of individuals who are abusing substances. The influence of socioeconomic status, cultural context, and the variations in substance use and abuse across groups will be considered. Prerequisite: PSD 7016. This course offers the basics in family systems theory and the historical context from which it arose. Students learn the application of systems theory to the treatment of a variety of family systems. A comparison and critique of systems theory from a postmodern perspective is included. The limitations of systems theory to families of diverse backgrounds are considered, and modifications of systems models that better meet such families’ needs are proposed. This is the second of a three course sequence designed to assist and supervise students in developing their dissertation proposals. Students will continue to expand and refine their Literature Reviews, while drafting the Methods chapter of their dissertation proposals. Students also finalize their dissertation committees this quarter. Prerequisite: PSD 7252. This is a year-long course, taught in conjunction with PSD 7245. Practicum III gives students credit for their third-year training placement. To receive credit, students must meet the terms of the placement contract, carry the stipulated caseload, and receive a satisfactory evaluation from their clinical supervisor. In class, students are required to demonstrate assessment and integration of clinical data in their clinical work with clients. Students do formal case presentations and prepare for their Clinical Proficiency Exam. Prerequisite: PSD 7135. This course offers a practical, clinical, and evidence-based description of the functional anatomy and physiology of the human nervous system. Normal and abnormal development and functioning of the nervous system is presented, including concepts of neuronal physiology and maturation, sleep, arousal and attention, acquiring and retaining information, and various aspects of a person’s ability to act on and adapt to changing environments. Application of this information to clinical practice, research, and personal experience is encouraged. Gender, age, and racial/ethnic differences in physiological processes, as they relate to behavior and experience, are presented in light of new neuropsychological, neuroimaging, and neurophysiological research findings. The ways in which psychological symptoms can arise from physical problems will be discussed to facilitate accurate and comprehensive clinical diagnosis. This course introduces students to empirically-based developmental psychology theories with an emphasis on conceptual issues and scientific methods in the study of developmental psychology. It teaches students to comprehend, assess, and evaluate scientific research on child development, and provides an essential understanding of child development for clinical activities. Students are taught to examine the interrelationship between physical, cognitive, and socio-emotional development in infancy, early childhood, middle childhood, and adolescence. This is the third of a three course sequence designed to assist and supervise students in developing their dissertation proposals. Students will complete drafts of their dissertation proposal and Human Participants Review materials, and conduct a mock defense of their dissertation proposals. Prerequisite: PSD 7253. This course provides students with an overview of classical and recent research in the areas of cognitive psychology and cognitive neuroscience, as well as theories of emotion. While the emphasis of the course is on the science of psychology, the relevance of these models to diversity-competent clinical practice is also reviewed. This course prepares students to evaluate and direct clients regarding psychiatric medications. Pharmacokinetics, the major classes of psychiatric medications, referral processes, and how to follow-up with clients on medications will be discussed. Students will gain an understanding of the practical, ethical, diversity-related, and philosophical advantages and limitations of pharmacotherapy in the treatment of clients with various psychological disorders. Prerequisites: PSD 7016, PSD 7107. This is not a course of study but, rather, is required meetings with the training office to inform students and answer questions regarding the application and interview process for internships. This course is designed to provide clinical supervision to students who are enrolled in supplemental practica or externships. The course is conducted either in a one-on-one or group format. The format of the course includes case presentations and didactic training. Prerequisites: PSD 7035, PSD 7046, PSD 7047, PSD 7016, PSD 7008, PSD 7141 and a minimum of 6 months clinical experience. Training office approval required. This course is repeatable with a total of 4 units applying as elective units. This course provides an up to date view of the development in pediatric and geriatric psychotropic research and new medication options. Advanced study of physiology and function of the brain in relation to the use of psychotropic medications and common disorders in youth and aged populations are examined. This course provides the additional 1.5 units for the PPC specialization requirement in Psychopharmacology. This course introduces students to the consultative and educational processes and roles in the profession of psychology and their application in working with diverse populations. Students become familiar with the basic stages and processes of consultation and various ways in which professional psychologists provide consultation services. Students are also introduced to the issues and processes of teaching in the field of psychology—including but not limited to administrative duties, course development, and course management. Prerequisite: PSD 7016. This course discusses the evolution of modern psychology with regard to theories, systems and practices. It is grounded in a broad historical understanding that builds a framework for understanding the contemporary field of psychology, examining the philosophical, epistemological, cultural, and sociopolitical contexts and consequences of the major systems in the development of contemporary psychology. Students will apply for approved internship sites anywhere in the country that are consistent with their individual interests, training needs, and professional goals. Students will build competency in the diverse clinical skills required of a professional psychologist. Students are required to complete either one full-time, year-long internship or two-half-time, yearlong internships completed over two years’ time. *** If you began internship with 4.5 units.